One of Andrew Wilkinson’s BC Liberal MLAs says he worries an initiative aimed at protecting LGBTQ students from bullying will scar school children for life. “I think of gender as a resilient plant rooted in the soil of our biological characteristics,” Throness told the Legislature. “Happily, it never occurred to me to question my gender,” Throness said. Throness’ comments were rebutted by BC NDP MLA Spencer Chandra Hebert. “To suggest that (LGBTQ children) and those who acknowledge their existence are somehow responsible for the depression that they face because of people who are full of hate towards them is, again, completely a misdirection,” Herbert said. The vast majority of MLAs on all sides of the aisle spoke in support of the motion brought forward by BC NDP MLA Nicholas Simons. “I wish this was around when I was in elementary school or in high school. This would have created a place for people like myself and others who – I wouldn’t have known at the time – were also thinking about these kinds of things,” Simons said. 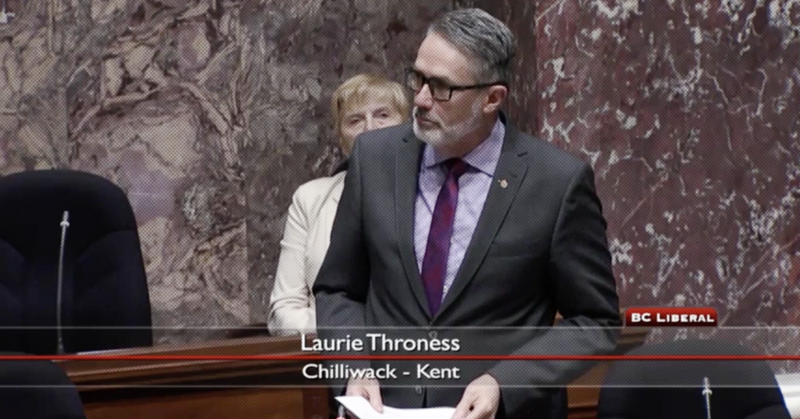 Throness has a lengthy history of sharing bizarre views and pushing hardline social conservative policies in the BC legislature. Earlier this year, the MLA argued that public child care isn’t needed because parents should stay at home instead. 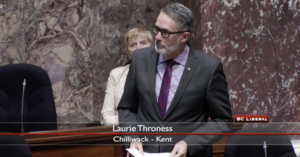 Earlier this year, Throness made headlines when he attended a anti-abortion rally in Victoria alongside former BC Liberal cabinet minister Rich Coleman. 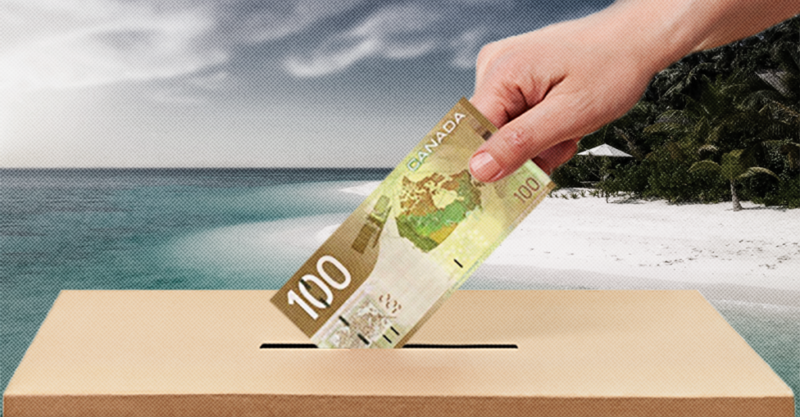 The campaign opposing electoral reform in British Columbia received funds from wealthy BC Liberal donors named in high-profile offshore tax haven leaks. Financial disclosures from the No BC Proportional Representation Society have already shown BC’s entrenched interests are spending big money bankrolling the campaign to stop proportional representation – including business lobbyists, real estate moguls and other wealthy urban elites.